Is Elizabeth Warren’s campaign already over? 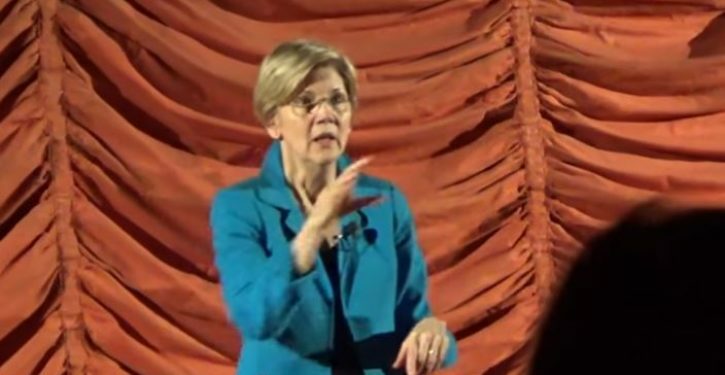 Forget the “Native American” stuff—Is Liz Warren a fake presidential candidate? While the political press covering the 2020 Democratic presidential primary are focused on who’s getting in—“Joe Biden, Will He or Won’t He?”— Elizabeth Warren, the one-time front-runner and progressive rock star, is fading away. Yes, it’s early. Iowa won’t cast the first ballots for another 330 days or so. And, yes, a once-moribund candidacy can bounce back to life, as both Bill Clinton and John McCain demonstrated on their way to winning their party’s nomination. But there’s a point where the numbers are so bad and the brand is so broken that there’s no foreseeable way forward. And the Massachusetts senator has reached that point. For Liz Warren, it’s all over but the shouting. And, Lord, is there a lot of shouting. Those of us who live in Massachusetts get to see a broader, more nuanced Elizabeth Warren. She has a compelling biography from her days in suburban Norman, Oklahoma. She gives smart, academic takes on legal and economic questions. She’s pretty good at telling a story, too.